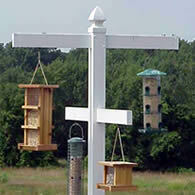 Setting up a bird feeding station can add a lot of enjoyment to your wild bird watching. Rather than just placing a single feeder in your backyard, consider adding a variety of feeders at different levels with different types of food. If you do, I promise, you'll be rewarded with more birds and a greater variety of species of birds. 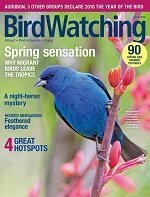 Rather than just placing a single feeder with a single seed type you'll find your backyard will attract more birds if you mix things up a bit. 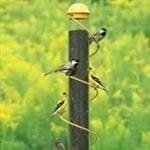 The first consideration when setting up your bird feeding station is location. You'll want it where you'll have a clear view and convenient enough that it doesn't become a chore to refill your feeders. Take note of the surrounding area. There should be trees and shrubs within 100 feet. This will provide the birds a place to flee should predators come too close. Keep feeders in the open and not too close to shrubs where cats can hide. There are four basic areas where birds eat, although there may be some overlapping of bird species from one to the other. Ground Level - Some of the birds that feed at this level are - mourning doves, juncos, towhees, quail, pheasants and sparrows. You can build a simple wooden platform raised slightly above ground or purchase a Ground Feeder. Seed thrown on the ground can get wet and cause health problems for the birds. Be sure to provide drainage holes to keep the seed dry. 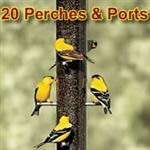 See Bird Seed for a chart showing what types of seed that attract these birds. 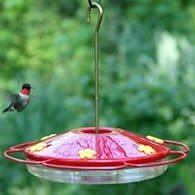 Table-Top - Whether a picnic table, deck railing, or windowsill, this level of bird feeding will attract cardinals, chickadees, titmice, wrens, blue jays, and grosbeaks. Put up a windowsill feeder or choose one made to attach to deck railing to feed birds at this level. You can also place them on post varying the height of each post. 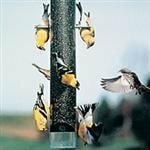 Hanging Feeders - Adding a few cylindrical style hanging feeders to your station will attract chickadees, finches, nuthatches, and titmice. Stretch a rope or small chain between two trees and hang several different styles filled with sunflower and Nyjer seed, these will bring the birds in close. Tree Trunk - This area is ideal for attracting some of the woodpeckers such as the Hairy and Downy. Place suet feeders against the side of a tree. Brown creepers, chickadees, titmice and jays will visit tree trunk sites. Always include a source of water, both in summer and winter. Many birds that would never visit your feeders will come to your birdbath. 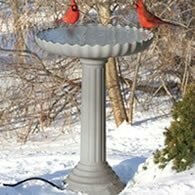 Consider a birdbath heater to keep water open in winter weather. All birds need water during winter. 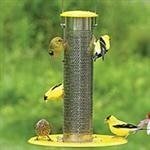 Many birds are attracted to more than one type of feeder and more than one level. 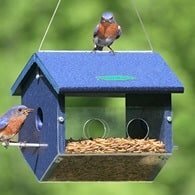 If you want to attract the greatest variety of birds to your backyard, a bird feeding station is the way to get the job done.